Tempe Condo in der Nähe der Altstadt von Scottsdale, ASU, Chandler, Mesa und Cubs Spring Training! Cubs Spring Training ist 1/2 Meile entfernt und innerhalb von 10 Minuten erreichen Sie vier weitere Spring Training-Standorte (Giants, Angels, A´s und Rockies / Diamondbacks). Innerhalb von 10 Minuten befinden sich zwei Casinos (Talking Stick und Casino Arizona), OdySea Aquarium, Butterfly Wonderland (Amerikas größtes Atrium für Schmetterlinge), Salt River Fields, Top Golf und iFLY (Indoor-Fallschirmspringen). Sie finden keine zentralere Lage, um die vielen Städte, Veranstaltungen und Aktivitäten im gesamten Tal der Sonne zu erreichen! Convenient location, with 2 covered parking stalls. 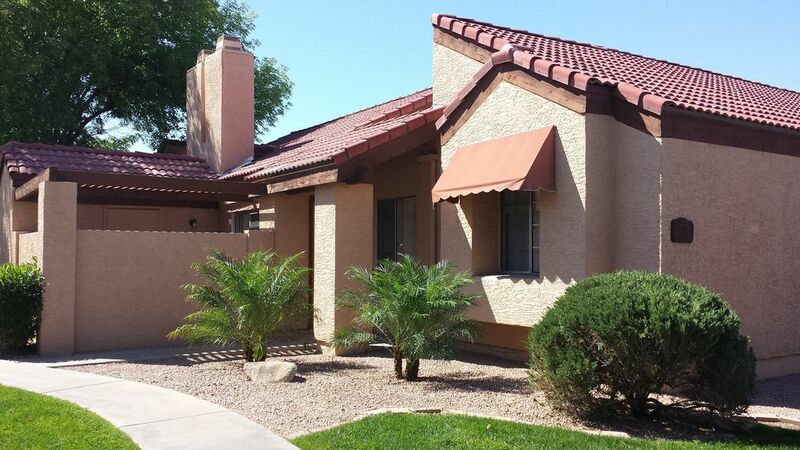 Well suited for 2 to 4 people to call home for a week of driving to various Phoenix spring training baseball stadiums, golf courses and shopping malls. The community pool and hot tub are a 2-minute walk from this condo. Very clean and Alan was always available for any questions we had. Useful was the welcome book compiled by Alan. Great Location -- Everything we needed! This wonderful condo was everything we wanted & needed! From the onset of booking with the management company to the arrival / departure..... these people are on! The condo is updated, SUPER CLEAN, offers welcome amenities and so much more!! Easy access on & off the 101 which was huge to us! We could not have been happier -- wonderful pool as well - just a little chilly which we expected in March. We would definitely recommend & return to this condo for future visits!! Location is excellent. The condo is very nice & functional. It, and the whole facility ( hot tub, pool etc) are starting to show some age/wear & tear. Landlord is terrific to deal with. Yes we enjoyed our stay and very close to other places we visited. The unit was very clean and well equipped.The pool in not heated and very cold and hot tub very hot. Very close to spring training Baseball and Tempe and Old Scotsdale. Der neue Chicago Cubs Spring Training Komplex befindet sich 1/2 Meile von unserer Wohnung ... zu Fuß zu erreichen ! !